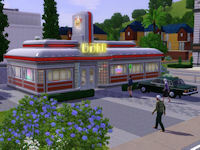 The Sims 3 - Wonderful Reboot or Overhyped Rehash? Instead of giving you a long drawn-out but detailed review that leads up to the conclusion, I am going to give the answer now and explain why I have reached it. Simply put, it is this. 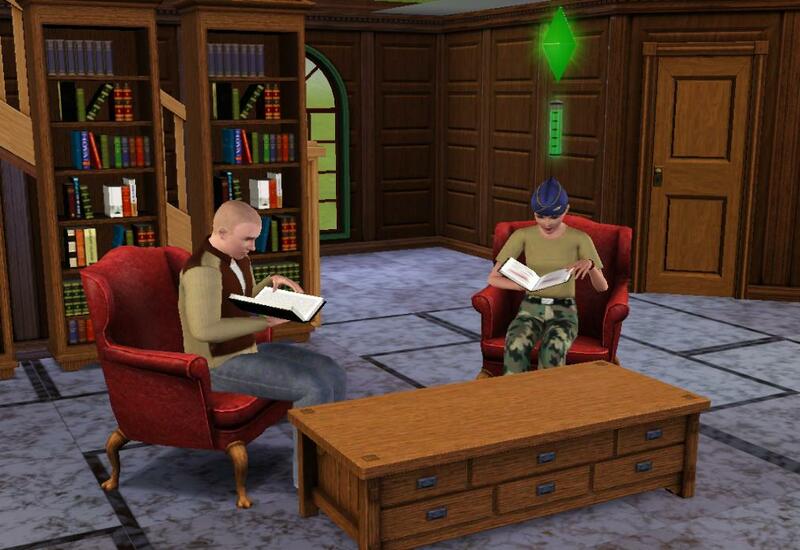 If or when you can afford The Sims 3, I recommend you buy it! 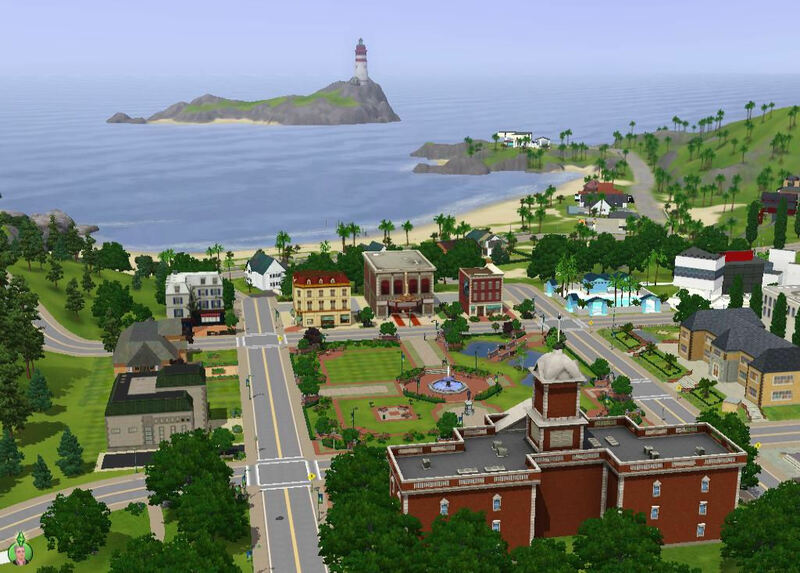 Although it may look similar to The Sims 2, it is very different indeed and offers lots of brand new experiences worthy of the cost. I would hazard a guess that not everyone will think "Ok, I'll go down the store right now" or otherwise take my conclusion for granted so I need to explain how a week of playtesting has helped me to reach this conclusion. 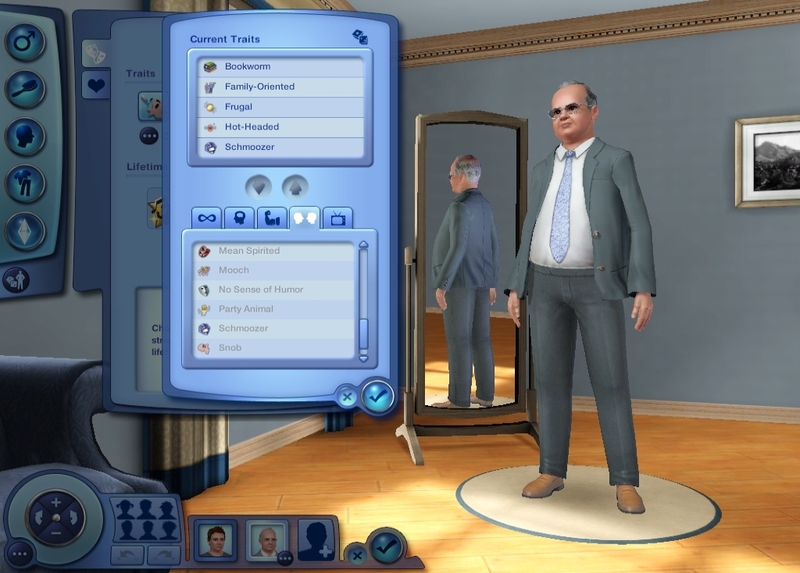 All versions of The Sims have until now comprised of defining personalities from so many fixed points on various sliding scales. Also, this so called astrological selection affected how people got on to some degree or other. 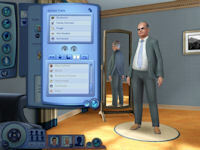 Players now pick 5 character traits for their sim from a choice of 63 character traits in a manner not dissimilar to computer dating - so I am led to believe. Picking various combinations affect what lifetime wish that the sim can select. Perhaps because I seem so entranced with this game, I might be "Easily Impressed" although because I take time writing these articles, it means I may also be a "Perfectionist". 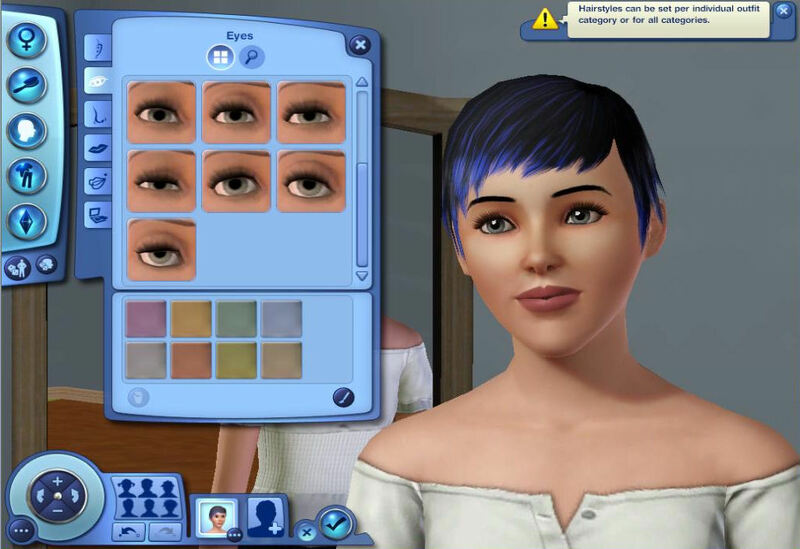 Although many of us may have seen a detailed sim creation from The Sims 2, I personally consider this one to be superior. Sliders for body mass and fitness as well as sliders for skin colour make a large variety of selections possible. Also, in collaberation with the new Create A Style, you are not limited to outfits in a certain colour. You can create your own. You could even get a blouse to match the colour of that pink car in the driveway. You could even recolour any part of the outfit or house to be pink. You could even recolour that sim's hair to be pink in various shades. It is down to the imagination. I'm digressing. With better manipulation skills, it is easier to make sims look more realistic and even like real people. Although it is not a 100% match, my first attempt at simming myself was good enough to remind me who I am. You can check me out at TSZAndy on the Exchange if you go there. 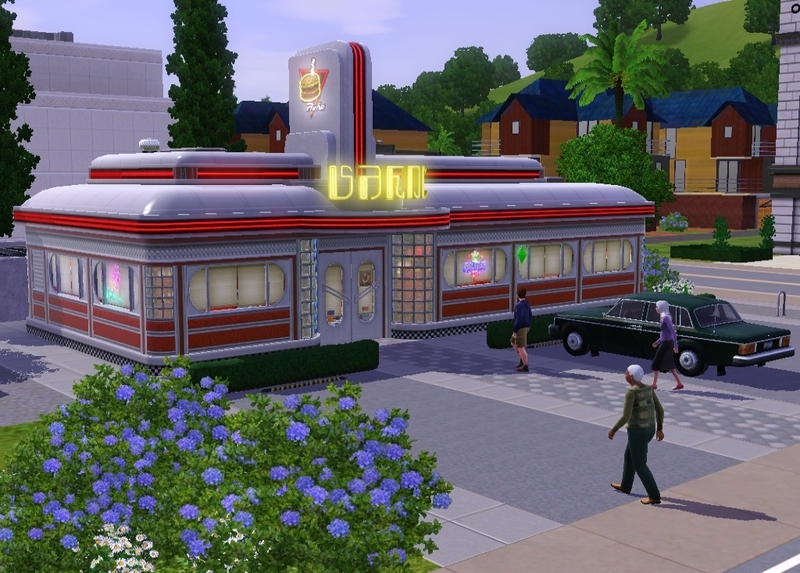 The Sims 3 is set in the town of Sunset Valley. It is a well crafted neighbourhood leaving many populated houses, many empty ones and enough space to add houses or community lots to make the neighbourhood your own. There are many places that can be described as "rabbit holes". Once your sim is in there, for example having gone to work, having spa treatments or going shopping, you don't get to see them while they are inside although you can influence in some way how they act while in there or what foodstuffs or books you wish to buy. Sims can even sell things that they have found, grown or fished. There are other lots that you can see inside. In the community lots, you can go into the gym, the art gallery, the library, the park and many other venues. In household lots, your sim can visit anyone assuming that they'll let you in. Also, if a sim has certain negative character traits, they can even break into someone's house and take things. There are so many places there is not enough space in this prÃ©cis to cover them all. I am nevertheless really impressed with this seamless town and in our indepth report following this article, you will find more about it. 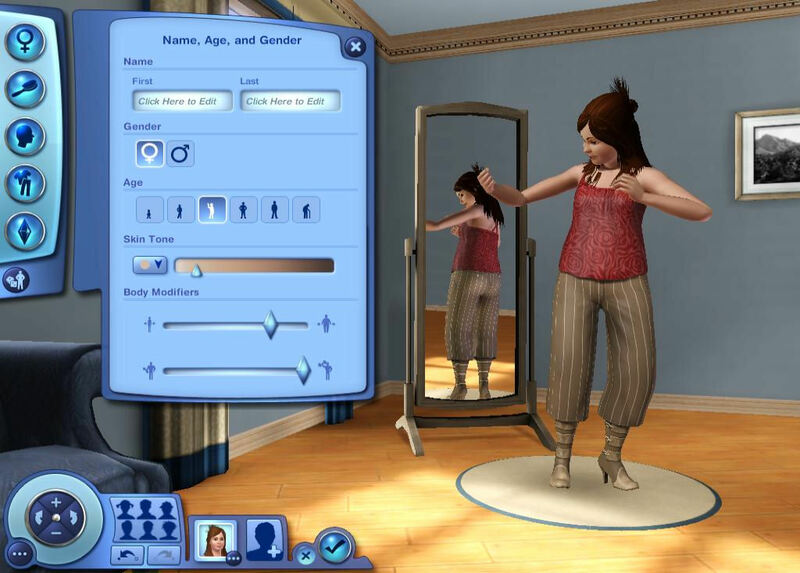 Sunset Valley is set 25 years before the original game and therefore 50 years before The Sims 2, and there are some familiar faces for those simmers who have been playing for many years. 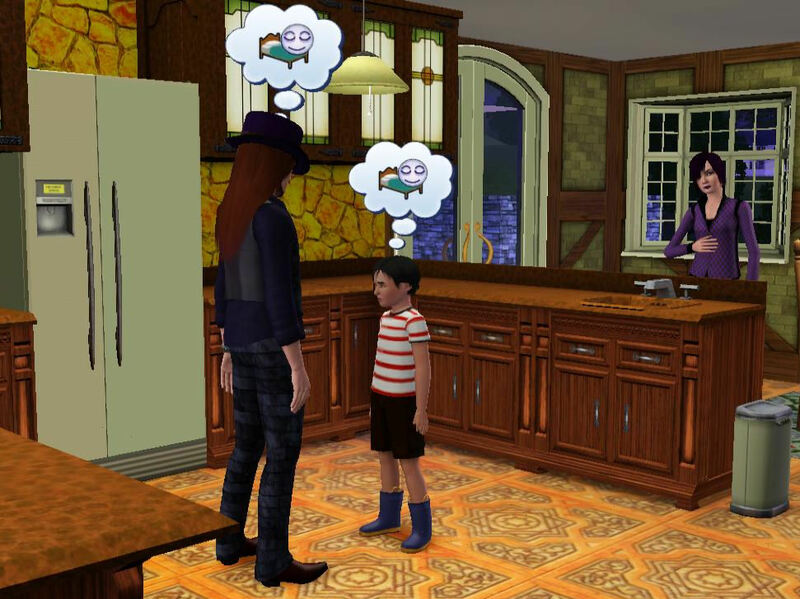 For starters, there is the Goth family and Mortimer, who we knew from The Sims 2 as a rich old man, is now a child, seen here with his parents, Gunther and Cornelia. Bella is in the town as well as one of the Bachelor family with her brother Michael, who old simmers will remember from The Sims. 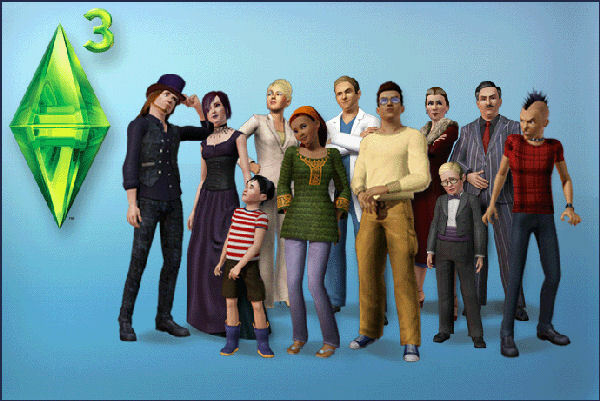 To name but a few, other familiar sims include the first Malcolm Landgraab and the recently widowed Agnes Crumplebottom, seen on the right. You have the choice of playing these and many other new families or letting the world go on around you as you play one of your own design. You could even evict them all out and populate the town with your own families. Written at 07:42 on Friday 12 June 2009 by Andy.